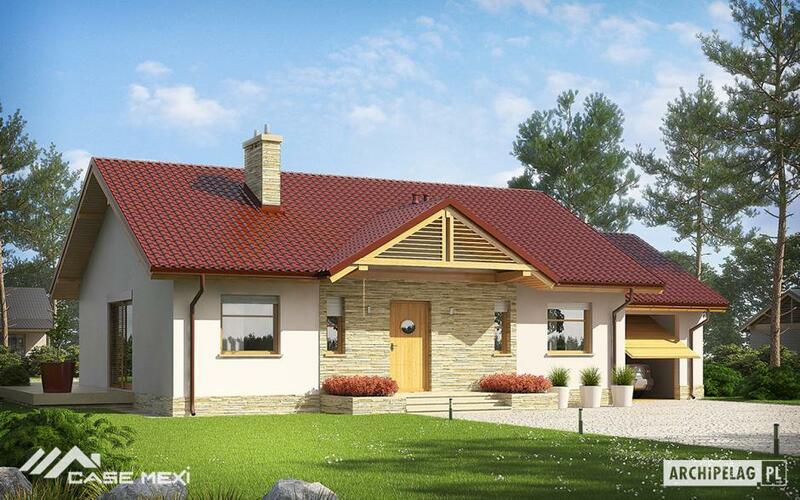 Today, we present three projects of three-bedroom houses. 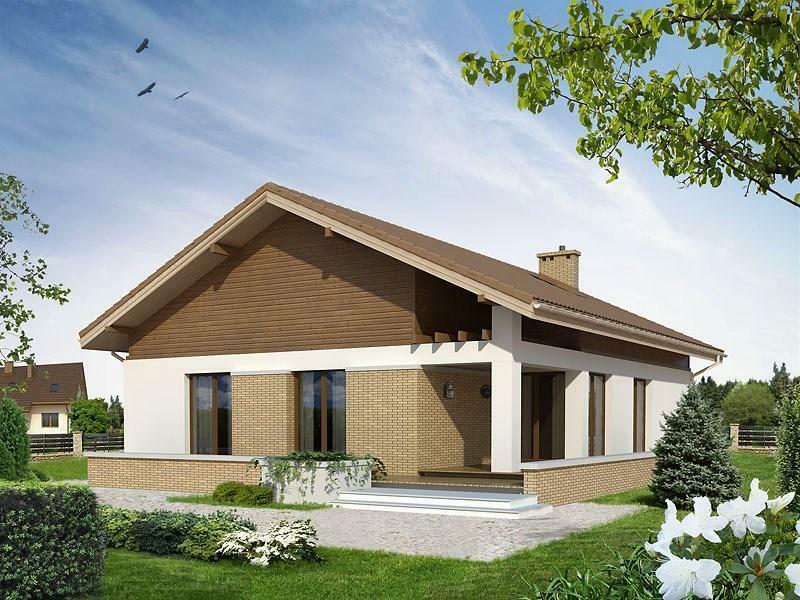 Thus, we selected three beautiful homes, ideal for a family with one or two children. The first model is beautifully accomplished, decorated with stone around the entrance and with wood on top. An uncovered terrace stretches along the back and sideways wall. 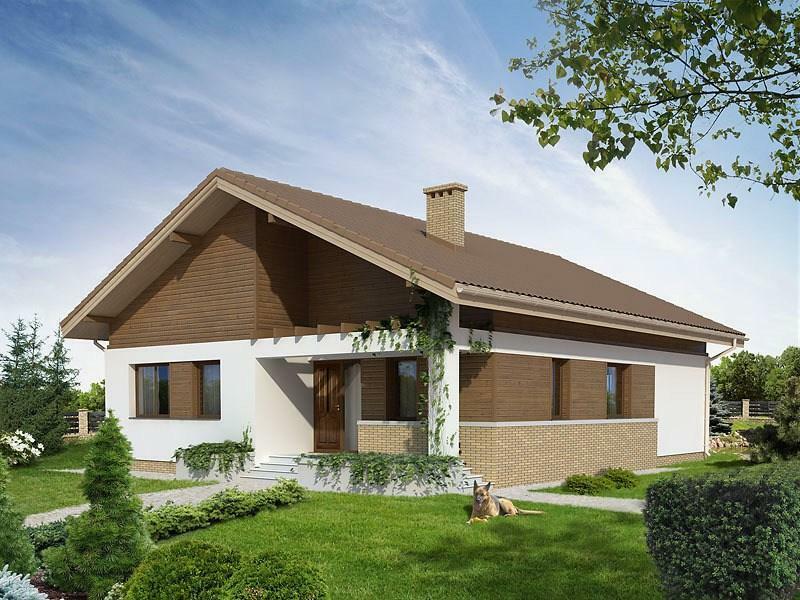 The house has a useful area of 127 sqm and has a garage. 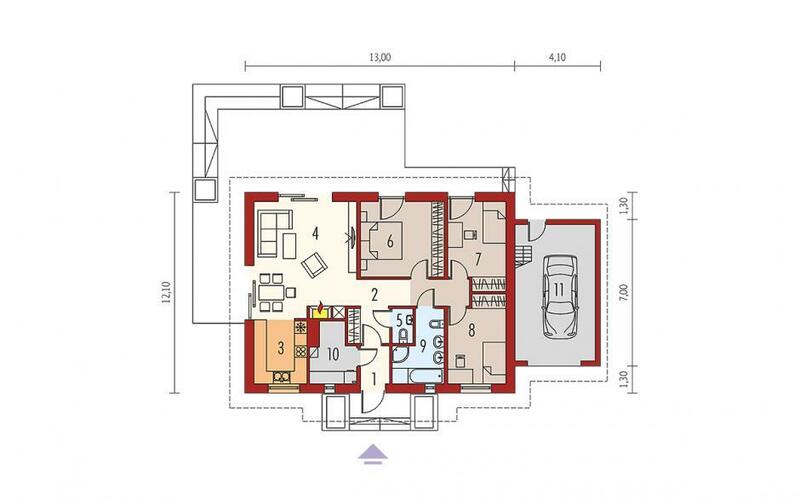 The surface is divided between bedrooms and bathrooms, on the one hand, and kitchen, technical room and living room, on the other side. From the living room there are two exits on the terrace, where they have direct access and the back bedrooms. spate. 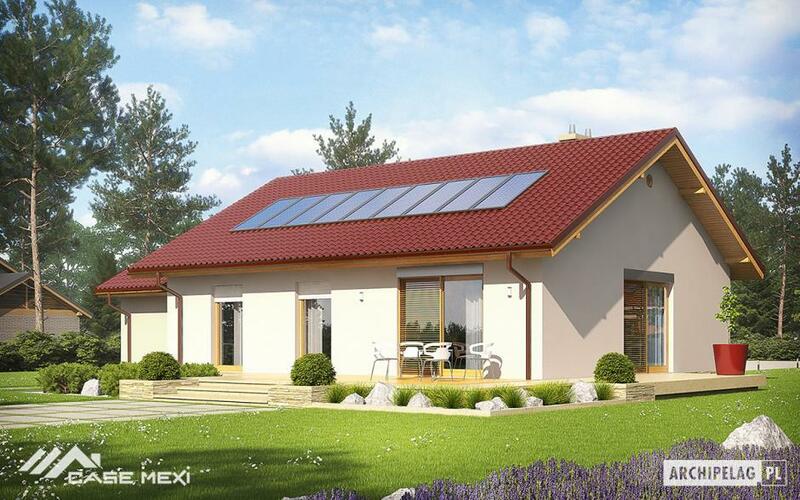 The next project is a house with a built area of 137 square meters and a ground footprint of 119 square meters. 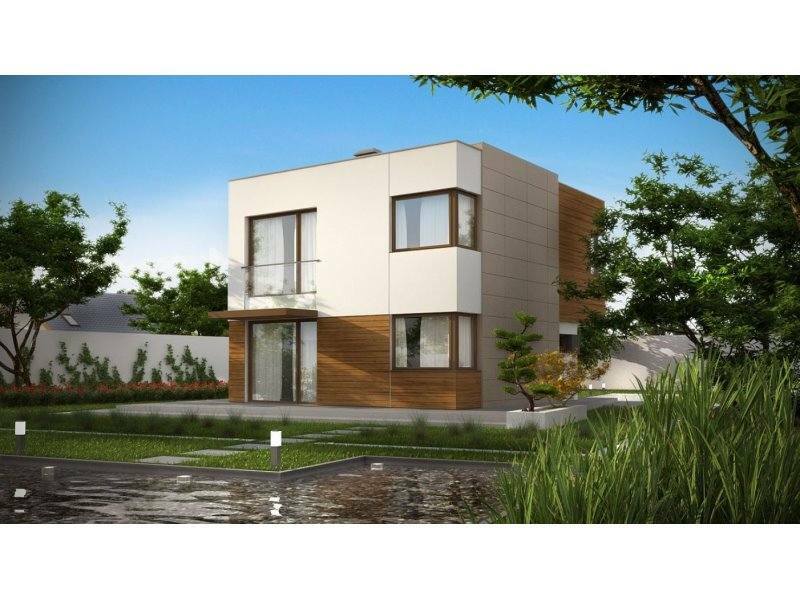 In terms of costs, the price to red is 23,000 euros, and the key price reaches about 67,000 euros. 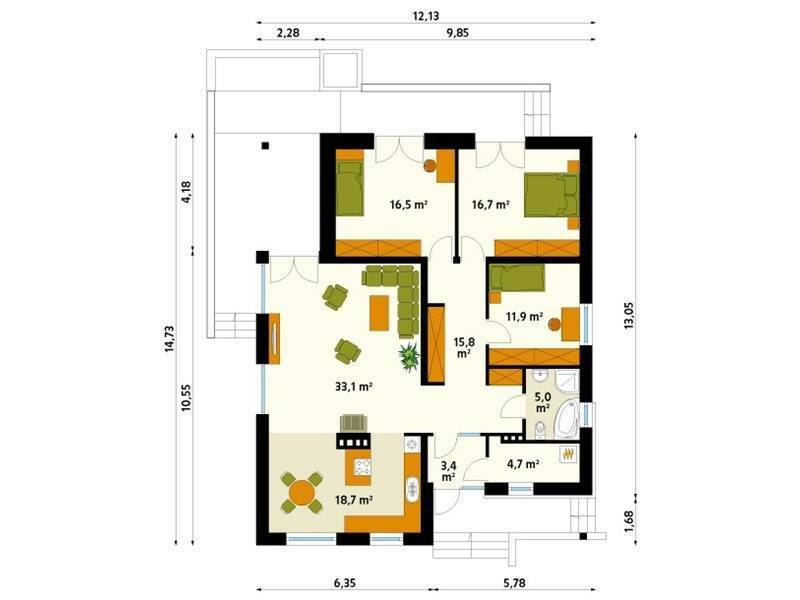 The plan below proposes a division for a family consisting of four members. 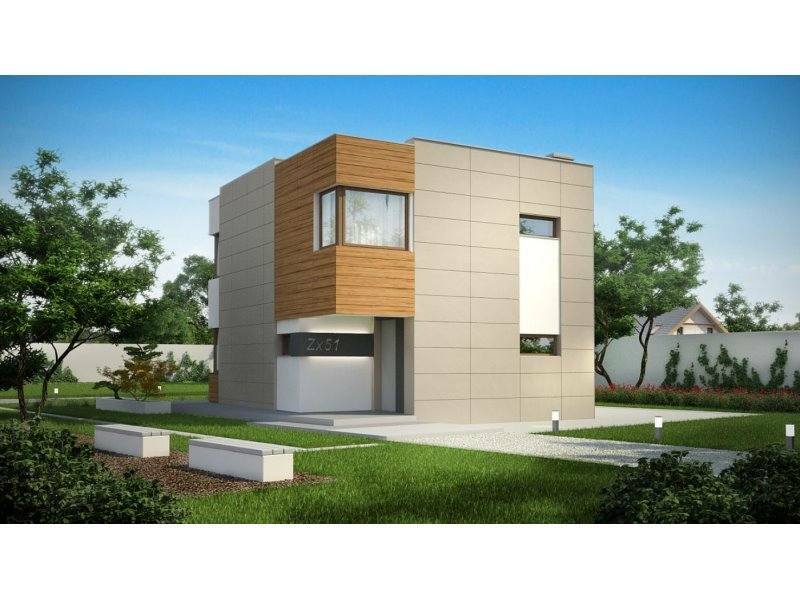 Thus, on the ground floor there is an open space comprising the living room, dining and kitchen, as well as a bathroom, while upstairs there are three bedrooms and a bathroom. The latest project is a house that has a modern, clean and sophisticated look at the same time, with large surfaces decorated with dark wood and open-minded brick and beautifully made terraces in front, and in the back. 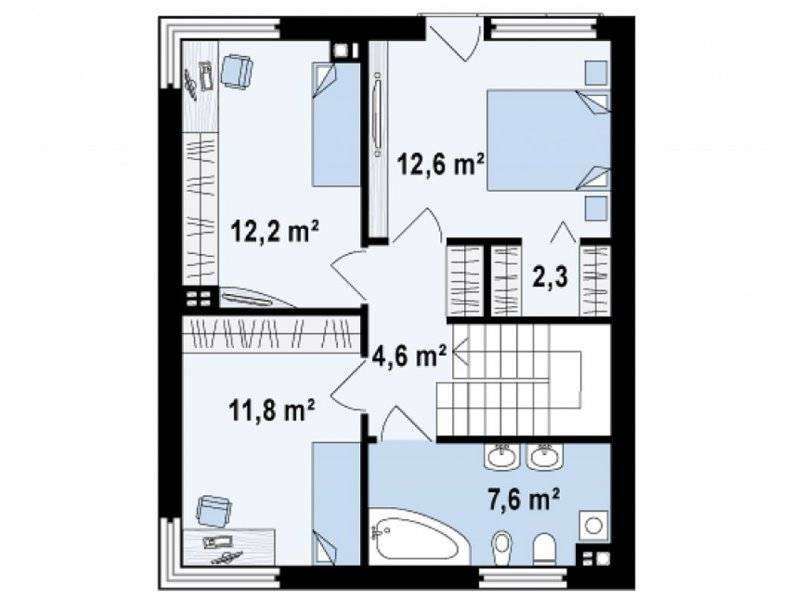 It has a useful area of 139 sqm and a width of less than 12 metres. 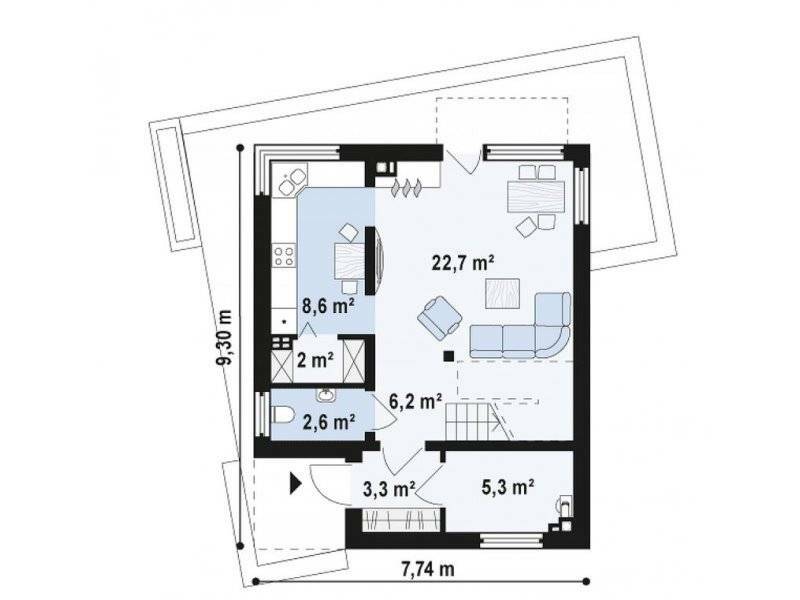 The construction of this turnkey apartment costs 61,000 euros. It has a large open kitchen with dining room and a very large dining room with a rear exit on the terrace. Adjoining is a long hallway to the bathroom and bedrooms. The two back bedrooms also have exits on the terrace.